All featured embellishments can be found in the BASIC folder. To try and inspire your inner creativity, we’re sharing different ways that we think you could use your embellishments through out your projects. Here we have used photo books, but you can add embellishments to lots of different products, such as canvas prints, photo mugs, cushions and more ! In this example we have used a washi tape embellishment from Badges & Banners and layered the text ‘Family Fun’ on top. We used the font ‘Linotype Cutter’ in white, so that the text is clear against the darker background. Add frames to your favourite photos to make them stand out. In this example we have used a thick gold frame from Frames & Corners, as the gold really pops against the green! If you don’t like the gold, then there are lots of different colours to choose from! 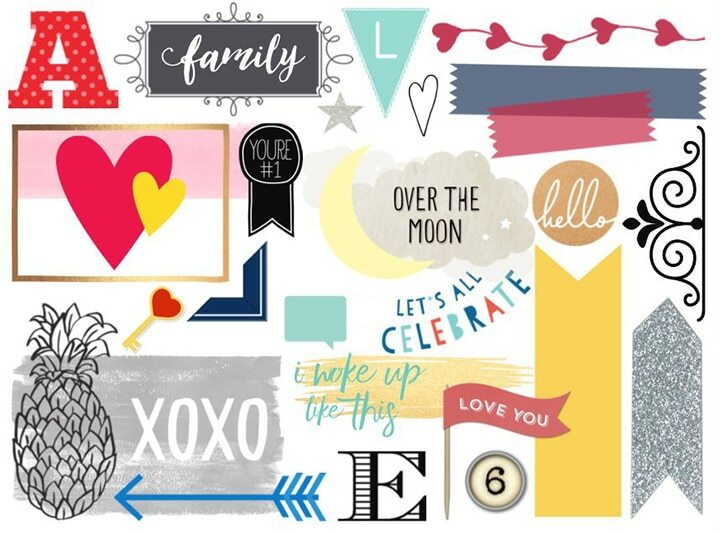 Not only can you layer text and embellishments, but you can also layer embellishments. In this example we have layered the ‘I woke up like this’ embellishment from Phrases, over the top of two gold ribbons from Ribbons. The combination of embellishments is a fun addition to a single image layout! Want to learn more about embellishments? We’ve also created some inspirational tips for wedding embellishments and travel embellishments. 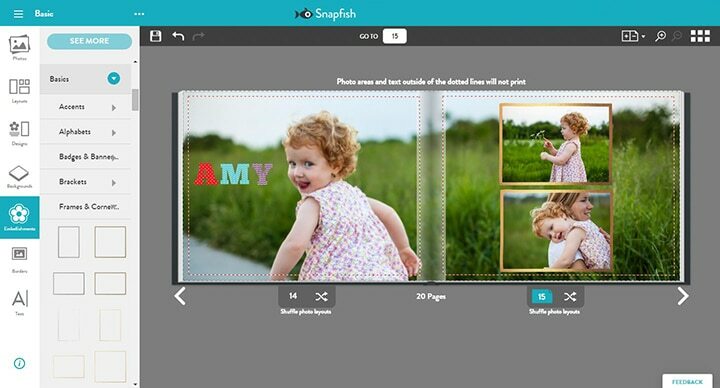 If you’ve got questions about the new and improved Snapfish, visit our help pages to learn more. Tagged as embellishments, personalised photo gifts.